I’m gonna level with you guys: it’s getting hard to come up with these stupid titles. I thought you should all know that. So I finished Snuff yesterday. I wouldn’t have thought that Terry Pratchett could actually improve as a writer, but holy crap. That was one of the best books I’ve ever read. P.S. If anyone has ideas on how to promote this site, I’d love to hear them. P.P.S. 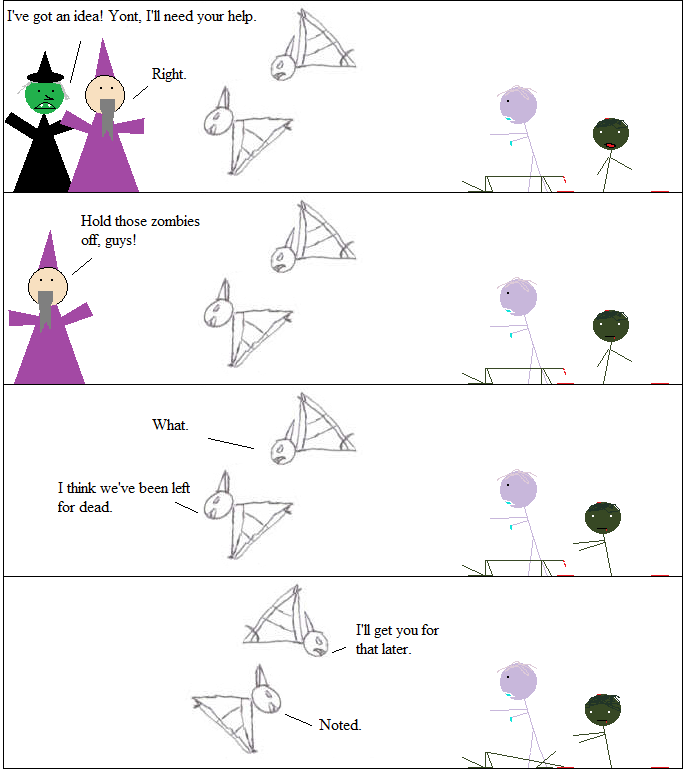 That zombie in the corner was original not supposed to be adorable, but what’re you gonna do? Is that my favourite adorable zombie on the right side of the panel?